Huaxing Nets provide high quality Pond Netting for all over the world. All the above dimensions can be customized. Available in rolls of15’ x 12’, 15’ x20’, and 15’ x 30’. Prevents potential equipment damage due to clogs. 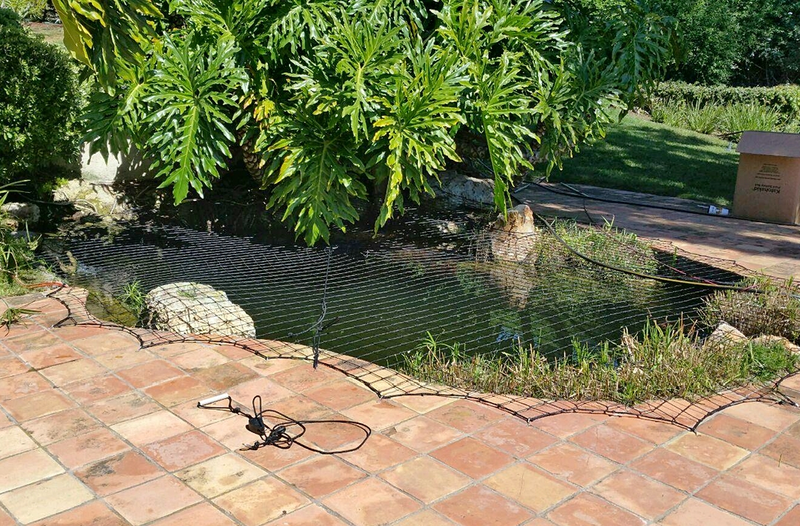 Allows pond filtration to work more efficiently by alleviating extra burden placed on them. Helps maintain water quality by preventing build up of organic debris and rotting leaves. Prevents discoloration and “tea stain” effect caused by fallen leaves. 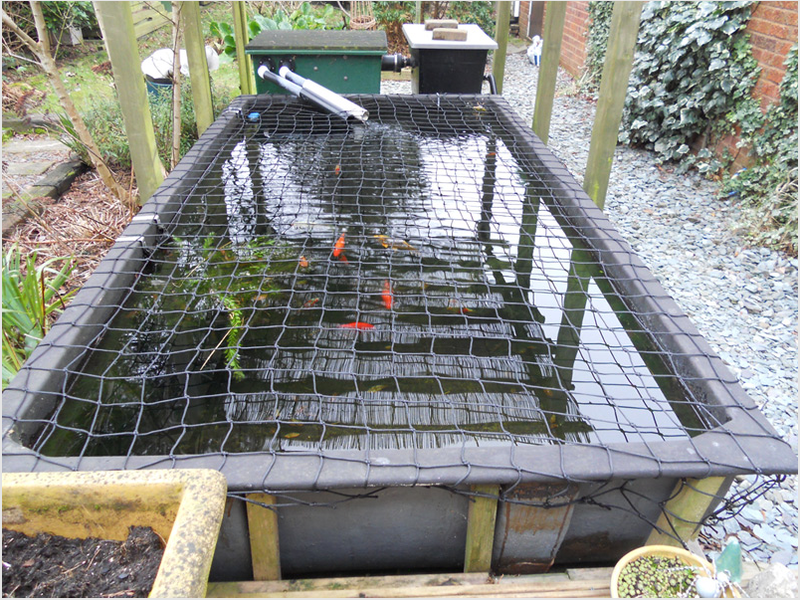 These multi-purpose nets make pond maintenance easy. They protect fish from jumping out of your pond and stop predators from getting in. They also help make cleanup easier by keeping leaves and debris from settling in and fouling water. When leaves and debris collect on nets, just disconnect side and flip off. Huaxing black nylon netting with 1/2″ spacing comes with 6 handy fastening pegs.